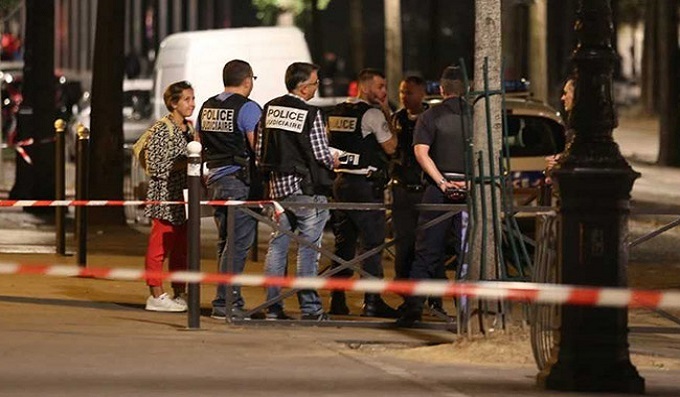 PARIS: Seven people including two British tourists were wounded Sunday in Paris after they were attacked by a man armed with a knife and an iron bar, according to police and other sources. The incident took place just after 11:00 pm (2100 GMT) on the banks of a canal in the northeast of the capital. A security guard at one of two cinemas on either side of the Bassin de la Villette, part of the Canal de l"Ourcq, said he saw a man who had already assaulted people being chased by two other men who tried to stop him. Another eyewitness, 28-year-old Youssef Najah, said he was walking along the canal near a bowling green when he saw a man running and holding a knife about 25-30 cm (10-11 inches) long. "Around four or five balls hit him in the head, but they weren"t able to stop him," he added. According to the same witness, the attacker then dived into an alleyway, where the man "tried to hide behind two British tourists. We said to them: "Watch out, he has a knife". But they didn"t react". The motive for the violence remained unclear despite a claim by the Islamic State (IS) group that it was an attack by one of its fighters responding to the terror organisation"s propaganda. That attack came days after an Afghan asylum-seeker was arrested in town of Perigueux for a drunken rampage with a knife in which four people were wounded, one seriously. 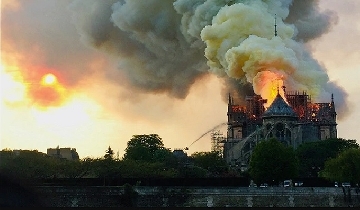 More than 240 people have been killed by Islamic extremists since a massacre at the Charlie Hebdo satirical magazine in Paris in January 2015.